Seed + Mill is a new stand in Chelsea Market named for sesame seeds and the tool used to grind them into tahini, the rich, nutty paste that Zahav chef Michael Solomonov refers to as “the Israeli mother sauce.” Hereabouts, outside of hummus joints and ethnic markets, tahini isn’t nearly as pervasive, but it is making inroads — thanks, no doubt, to the boundary-crossing work of chefs like Solomonov and the Israel-born, London-based Yotam Ottolenghi, whose books have sparked an American hunger for the foods of the Levant. 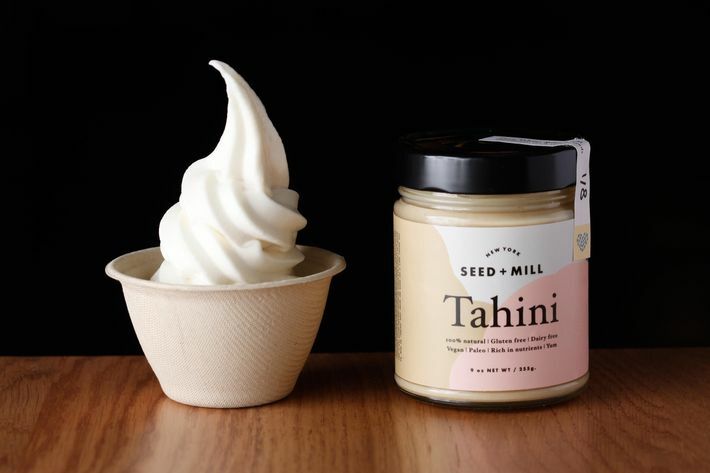 Partners Monica Molenaar, Lisa Mendelson, and Rachel Simons saw a niche in the specialty-food marketplace for artisanal tahini, and joined together to open Seed + Mill, a purveyor of freshly milled tahini and halva, the tahini-based confection that they offer in 18 rotating flavors. Although the bright white kiosk is equipped with two countertop mills, the product is currently being made in Israel “to our specifications,” say Molenaar, from the same high-quality Ethiopian seeds used by Soom, a Philly-based company whose tahini is found in the kitchens of Solomonov’s restaurants as well as New York’s Superiority Burger. 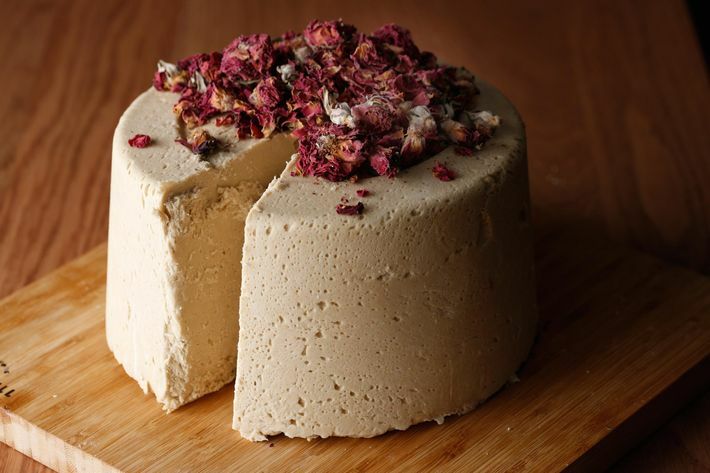 The shop sells jars of plain and parsley-tinged tahini to be used as a condiment or in cooking, but the real impulse-purchase lure is the halva, shaped in dense beige cakes, suffused with flavors like cardamom, coffee, and ginger, and sold by the slice or in crumbled “bites,” both for $6 a quarter-pound. 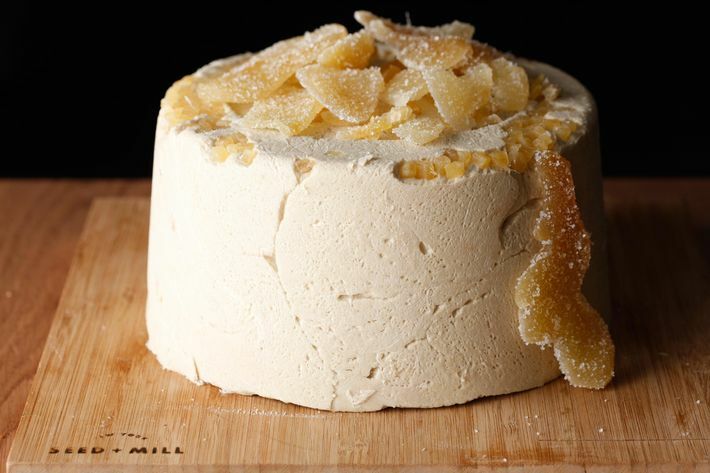 (Halva is having something of a moment in New York pastry kitchens, where it garnishes the grapefruit givré at Boulud Sud, tops a doughnut at Underwest Donuts, enriches the crème brûlée at Bar Bolonat, and is transformed into an ice-cream sundae at Russ & Daughters Cafe.) 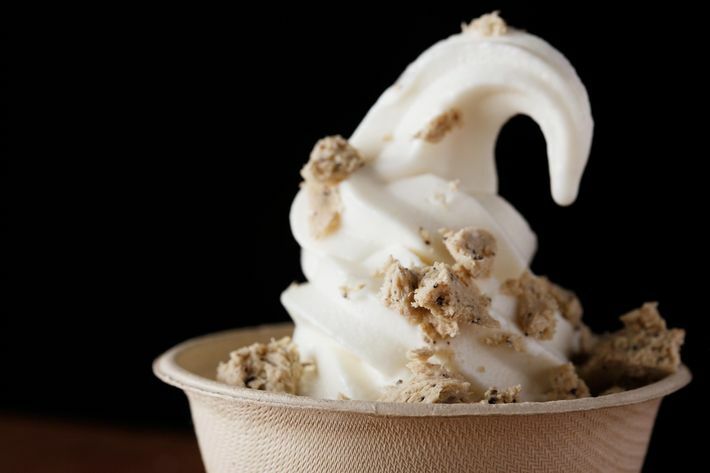 The shop also sells its own goat’s-milk soft-serve ice cream, made by New York’s Victory Garden with Seed + Mill tahini, and a breakfast sandwich called the chalva, which presses halva between two slices of buttered challah. 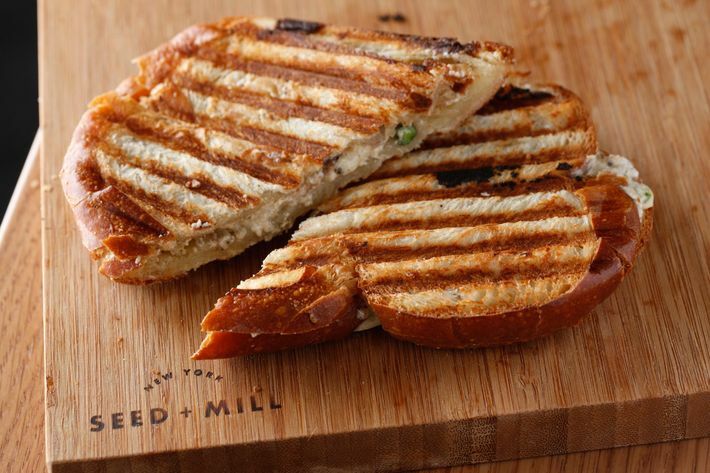 Seed + Mill’s owners want to do more than just sell tahini and halva, though; they want to rebrand the foods as modern-day nutritional powerhouses (Gluten-free! Dairy-free! Vegan! Paleo!) 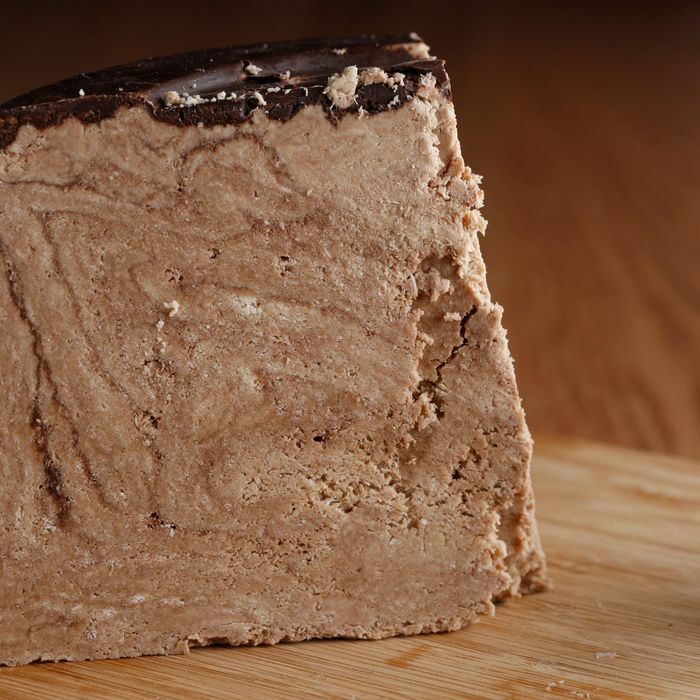 and dispel persisting notions of tahini as stiff, oily spackle and halva as industrially made and low-quality. 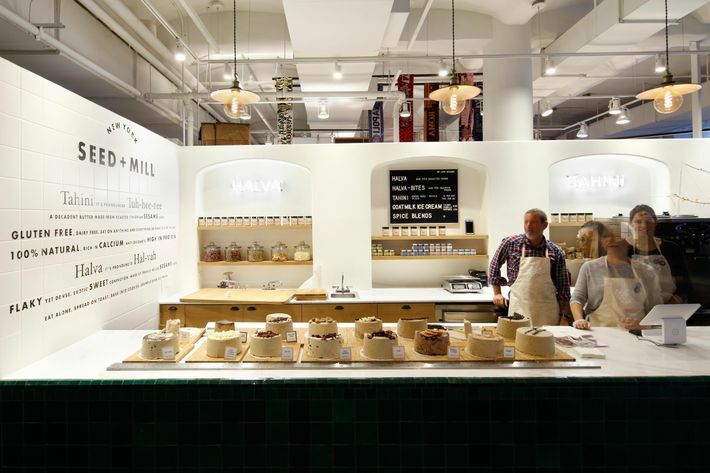 According to Molenaar, they chose Chelsea Market because the retailing of their products requires “a lot of education, a lot of traffic.” The brand joins a field that includes not only relative newcomers like Soom and Brooklyn Sesame, a producer of “halva spreads” in flavors like cocoa and pistachio, but the industry monolith Joyva, which has been making commercial tahini and halva in New York for over a century. 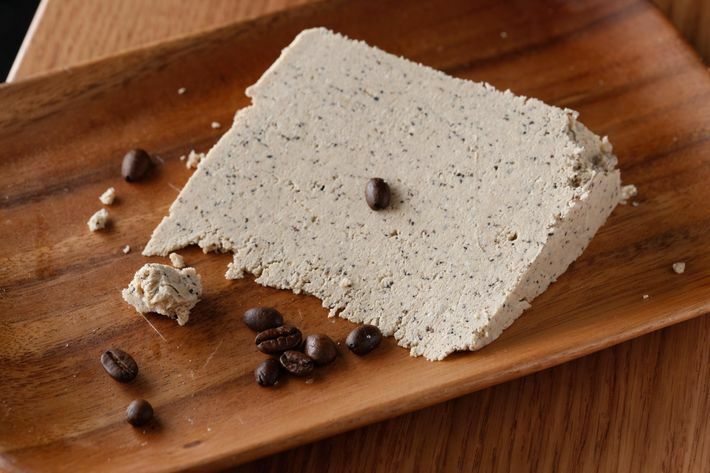 Take a look at the shop and some of its sesame-seed innovations. 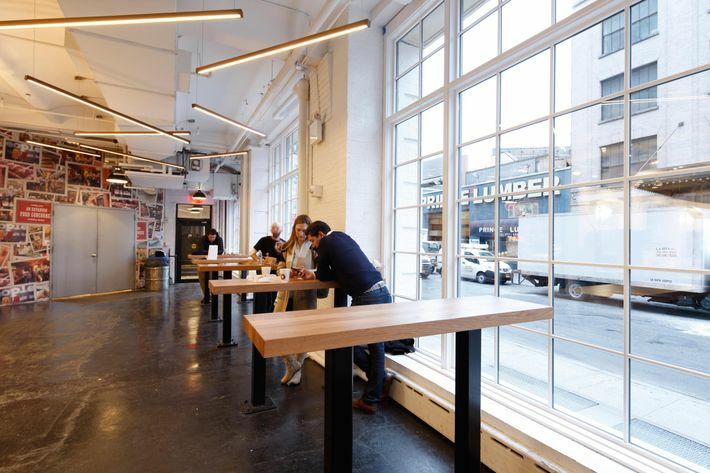 Seed + Mill, Chelsea Market, 75 9th Ave.